International Journal of Research in Health Sciences,204,2,1,343-346. 1,5-Resident, 2-Professor and HOD, 3-Assistant Professor, 4-Associate Professor, Dept of ENT, Dr. D. Y. Patil Hospital, Nerul, Navi Mumbai, Maharashtra, INDIA. The involvement of lateral sinus during the course of ear infection was a well known complication in pre-antibiotic days. The decrease in the incidence of lateral sinus thrombosis is due to the introduction of broad-spectrum antibiotics, early diagnosis and surgical treatment. However, despite recent advances in antiobiotic therapies, lateral sinus thrombosis still accounts for 6% of all intracranial complications of suppurative ear disease. 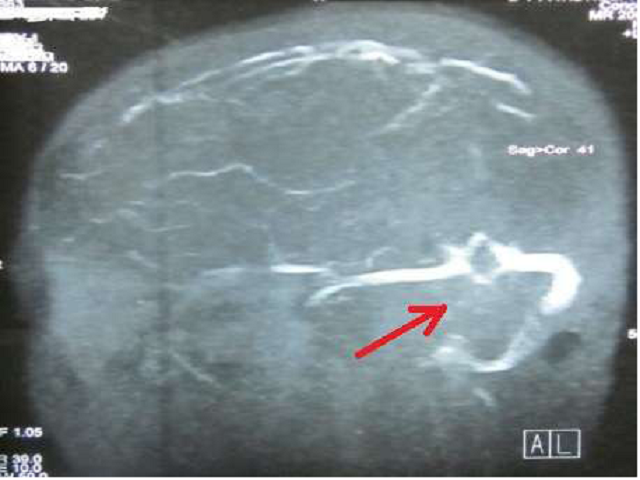 Accurate and prompt diagnosis of lateral sinus thrombosis is therefore, crucial, as timely and appropriate therapy alone can reverse the disease process and reduce the risk of acute complications and long-term squealae.